Four years ago, Kiev was known more for bloodshed and protest than start-ups. But that’s changing – the city has a booming tech sector where IT workers earn 10 times the average wage. 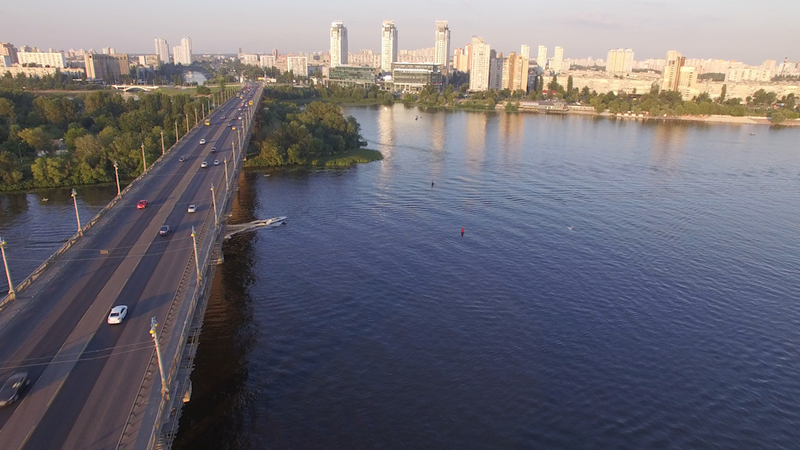 Cutting across Ukraine, the Dnieper river splits this country of 45 million people in half as it runs south through Kiev all the way to the Black Sea. With the sun rising, there’s no better way to take in the capital’s beauty than to cross the Parkovy Pedestrian Bridge and look out over the cityscape. At 6am there are fleeting groups of teenagers and twenty-somethings still ambling home across the bridge from another night out. This is the city’s most peaceful hour before the traffic jams, pace, and noise, bring it to life. But in 2014, Kiev became the staging point for the country’s second revolution in a millennium. Ukrainians flocked to the city to protest against, and eventually oust their president. The struggle resulted in bloodshed, and had far reaching, unexpected repercussions. In retaliation for the removal of pro-Russian President Viktor Yanukovych, Russia subsequently annexed the Crimea region in 2014 (although it officially remains part of Ukraine). The conflict in eastern Ukraine began when rebels seized large swathes of territory in the region in an uprising in April 2014. Although hundreds still come to the city to pay their respects to the fallen, for many Ukrainians the so-called Maidan revolution feels like a lifetime ago. The city’s recent history plus its pre-World War Two and Soviet-era architecture make Kiev feel like a time capsule to a very different time. However, many young Ukrainians are eager to cast off the country’s past and build a newer, shinier Westernised nation. This is a city on a dramatic upswing. 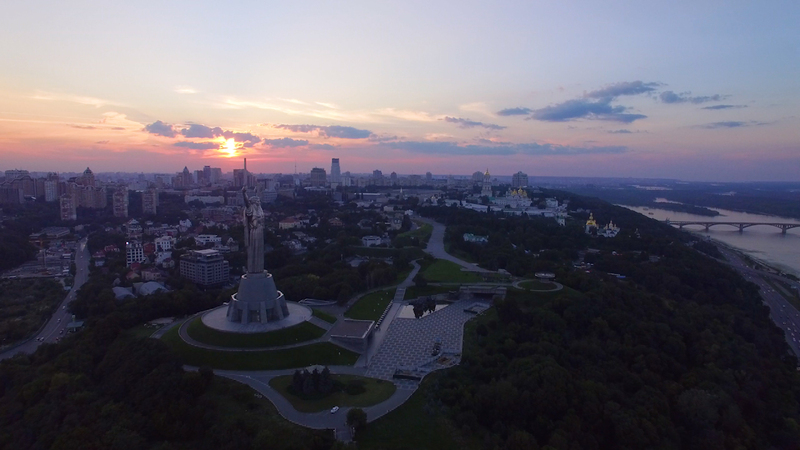 After the brief, albeit catastrophic hit to its stability in 2014, Kiev is staging a comeback. Building works are visible throughout the city and this rapid development is helping it attract major events. In the past two years, the city has welcomed visitors from across the continent to the Eurovision Song Contest and the football Champions League final. However, on arrival, and especially for those unfamiliar with this part of the world, Kiev’s Boryspil airport can still be still daunting. While virtually all the airport staff now speak English, beyond the terminal’s security the taxi drivers jostling for business outside arrivals can be intimidating. It’s easier to use a ride-sharing app. The trip downtown costs about 300-400 UAH, ($12-$15) and takes 30-45 minutes (and that's on a good day in this notoriously traffic-ridden city). 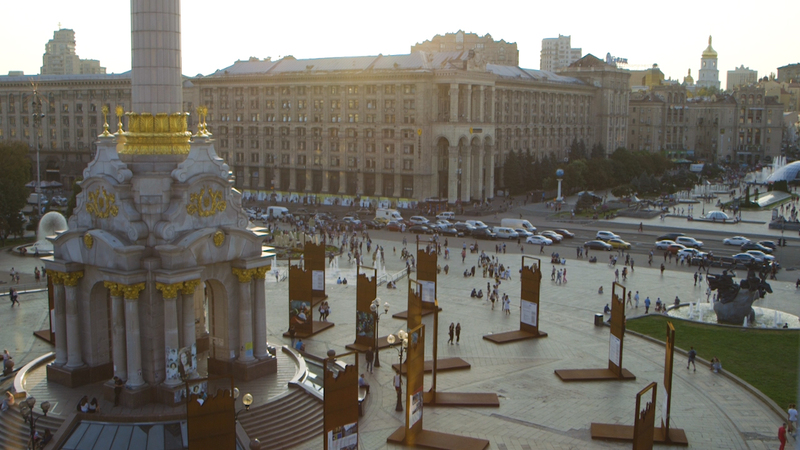 Ukraine’s economy fell in to crisis after the revolution and unemployment has remained high. In 2017, unemployment was around 9.5% although this was among officially registered workers – there are many unregistered or underemployed workers. Many entrepreneurial young Ukrainians have found ways of getting their own businesses off the ground. For most, the path has been forged online. They’ve taken to English in a big way because it’s still the primary language of business in Europe. According to DOU, an information site for the IT industry, 80% of Ukrainian tech workers speak English at an intermediate level or higher. “Young Ukrainians realised that if they wanted to earn Western salaries, they had to adapt and learn the language to have a chance in the global game,” says Dmytro Bilash, co-founder of Kiev-based Captain Growth, an AI software for marketing. Young entrepreneurs like Dmytro have diversified their businesses beyond the Ukrainian market and begun to build wealth that rivals or exceeds their counterparts in other European capitals. Stars of Kiev’s start-up scene are raising multimillions with globally-recognised companies; notable names include Alex Shevchenko and Max Lytvyn from Grammarly and Yaroslav Azhnyuk from Petcube. There is more than just tech talent, though – Ksenia Schnaider and Ruslan Baginskiy are two young fashion designers earning accolades and celebrity fans around the world. But beyond the more public accomplishments, many more are beginning to earn the type of wealth their Soviet-raised parents never could have imagined. The IT outsourcing sector has grown from a standing start to become Ukraine’s third biggest export within the past decade. Workers’ salaries are closer to their Western counterparts than ever before – monthly pay is around $2,000 to $3,000 for software engineers, taxed at just 5% (although this rate applies only to those registered as private entrepreneurs.) By contrast, the average salary in Ukraine is thought to be closer to $250 - $300 a month, with residents of Kiev earning the highest average nationwide. According to the State Statistics Service, there were 274,100 Ukrainians employed in IT and Communications last year and around a further 36,000 new technology graduates annually. According to the official data, there were 13,409 IT and telecom companies in Ukraine in 2017 and more than 100 multinational research and development centres including Ericsson, Siemens, Oracle and Magento. Ukraine has become the primary outsourcing market in Eastern Europe, according to Outsourcing Journal, and is top in Central and Eastern Europe by outsourcing volume. It’s the fifth largest IT services exporter, according to consultancy PwC. Sorohan says home-grown companies such as Grammarly, Petcube and Preply are quickly expanding on global markets to become leaders in their sub-sectors. Kiev is also attracting a new generation of young artists. Across the city, decrepit or decaying Soviet-era buildings are being renovated – from the ‘creative and cultural cluster’ at Art-Zavod Platforma to the train hub-turned-coworking space Izolatsiya. The more impossible a restaurant or cafe is to find in Kiev, chances are the better it will be when you finally locate it. As the city is rapidly changing, so too are the names of some streets, and not every building is conveniently emblazoned with its address on the exterior. It all makes the hunt more interesting. A host of new restaurants cater to young diners – Podil East India Company, Pyan-se, Noodles vs Marketing, Chang and Kytajskyj Privet to name a few. Three courses of authentic Middle Eastern food at Favorite Uncle on Pankivska cost the same as a small starter in London. On the more expensive side, bars like Alchemist, Loggerhead, Barman Dictat, Kosatka, and Parovoz cater to many of Kiev’s young and wealthy, while others like The Last Barricade and Kupidon serve traditional Ukrainian food just a few steps from Maidan. Although there are still plenty of ostentatious public displays of wealth on show (the same found elsewhere in post-Soviet states) these are gradually being replaced by a growing population of young middle class. The hipsters have taken over in a big way, helping establish Kiev as a Berlin of the east. Security is still top of mind for many visitors to this city. Although the conflict in the country’s eastern regions makes Ukraine seem like a dangerous place, Kiev feels just as safe as any other European capital. The conflict is over 700km away – almost twice the distance from Paris to London. While there are important memorials across the city that serve as stark reminders of the violence, the truth is that you’ll likely forget all about it as you explore the city. 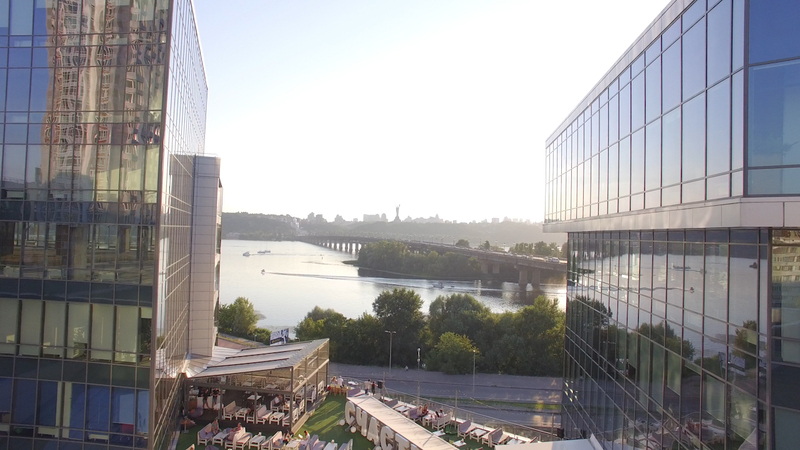 So, relax and enjoy because, as a business traveller, there is little to fear in Kiev… apart from the traffic.